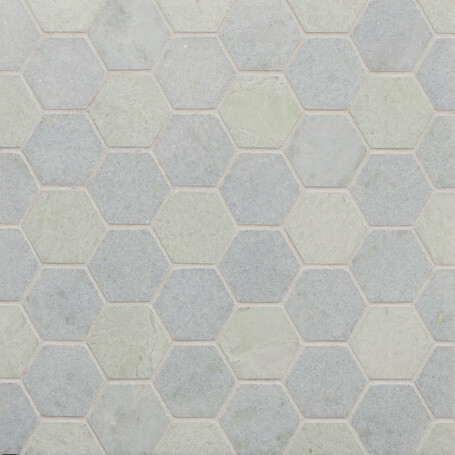 CA Stone and Mosaic Large Hexagon Set Pattern 12" x 12"
The Large Hexagon uses pieces that measure 1 7/8” across the widest part of the tile. Shown in a set pattern with softly blended colors. 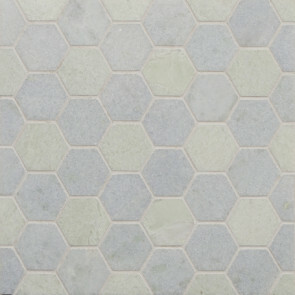 Each Large Hexagon tile is equal to 1.13 square feet. 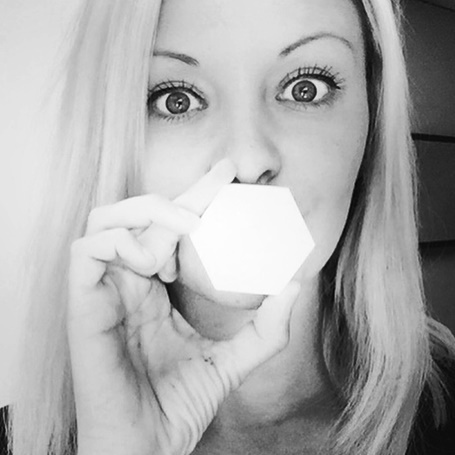 Ahh, the amazing Hexagon. Mother Nature loves it, and so do decorators and designers. The shape is one of few that fits together tightly, no gaps, when laid side by side. The continuous pattern with its equal-sized cells, minimizes the perimeter (i.e. 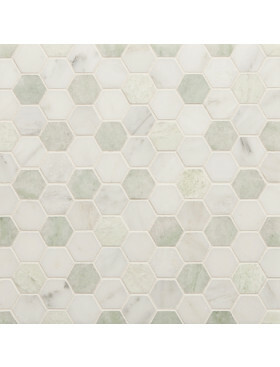 grout) while maximizing the area inside (i.e., marble). Honey lovers rejoice! 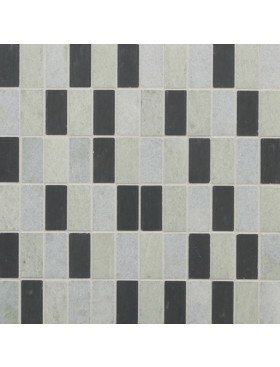 For those of us with tile needs, all we need to know is that it’s pleasing to the eye. We’ve chosen two colorways for each pattern to stimulate your imagination, but hope you will put your own signature on your project by selecting marbles that suit your taste and please you more than our suggestions. All designs are made to order and any stone can be substituted for those shown. We have a “Product Information Sheet” that gives more information and shows commonly used stones to help you chose what’s right for you. As with all our collections, we strongly urge you to order a sample before purchasing.